COME DEVELOP YOUR PROBLEM SOLVING SKILLS WITH HANDS-ON, PLAYFUL CHALLENGES! PROBLEM SOLVING CAN BE FUN! As children visit each station they will receive a "tool" to add to their "toolbox" of problem solving strategies. WHAT ARE SATURDAY STEM SAFARIS? Young learners (preK - 3rd grade) and their families (older siblings are welcome) will experience a variety of engaging, interactive learning activities inspired by science, technology, engineering, and mathematics. 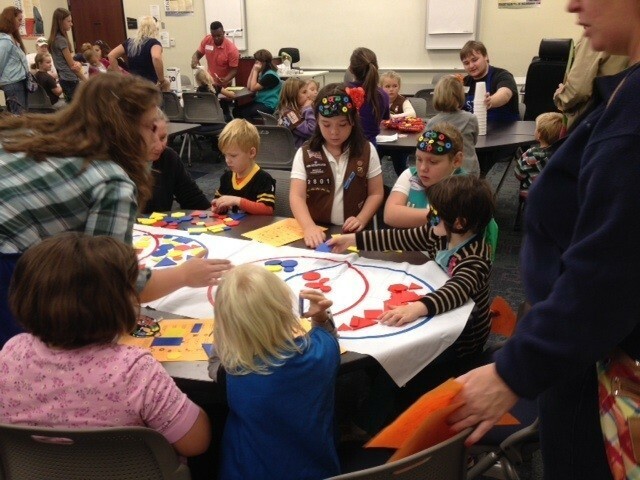 STEM Safari Saturdays are designed for children in PreK-3rd grades. These family events are open to the public. ADMISSION IS FREE! REGISTRATION IS ENCOURAGED. FOLLOW THE LINK TO REGISTER. STEM is an acronym for Science, Technology, Engineering and Math education. We focus on these areas together not only because the skills and knowledge in each discipline are essential, but also because these fields are deeply intertwined in the real world. Contact Dr. Jane Baker at jbaker@tntech.edu or the STEM Center at 931-372-6573. IS YOUR SON OR DAUGHTER A BOY OR GIRL SCOUT?